Dyna-Ski Boats: Refueling your boat the easy way? Refueling your boat the easy way? I have owned boats since 1987. Yes I am old. I started skiing and hauling gas in the early 1970's for boats kept on the lake. Ouch. 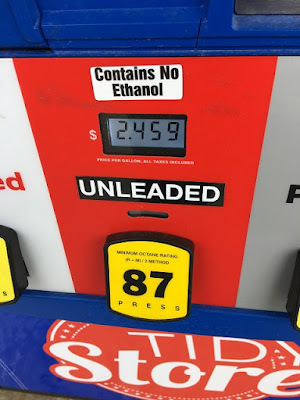 If you can buy gas on your lake it is usually pricey. If you cannot you have been hauling gas since you bought the boat because taking the boat out of the lake to refuel it is not fun and takes time. 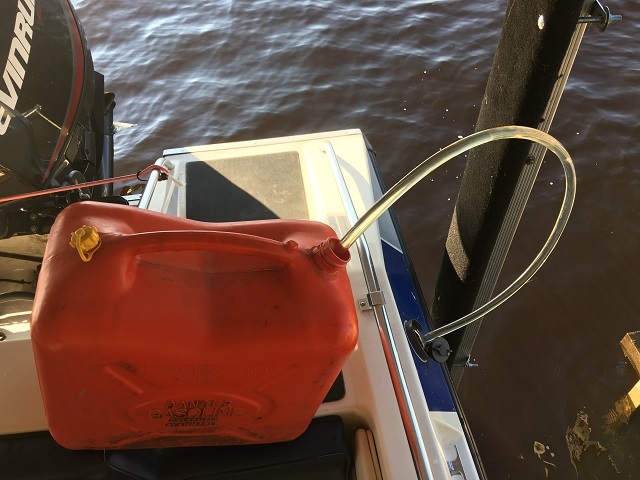 If your boat is not kept on the lake this blog post is not as useful although we fuel lots of the off road things this way. I always suggest that you use gas that contains NO ETHANOL in all your off road motors. I also use the red Stabil in all this gas. I buy a lot of off road gas. I buy Stabil by the gallon. I have many plastic gas cans. I have a pair of 24 gallon gas docks. Gas Docks use gravity also. 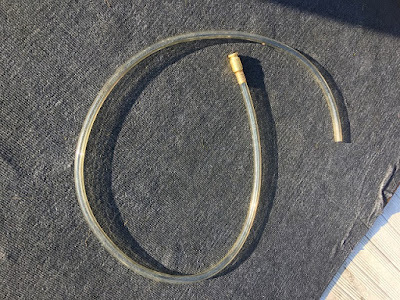 Gas cans and this siphon method is the best for boats. Putting gas into the boat or other off road things with gas cans without spilling has always been a challenge not to mention the strain on a persons back and arms until now. I usually use the coaster wagon to haul the 6 gallon gas cans to the boat as the wagon fits easily on the dock and holds 3 gas cans. Less carrying heavy gas cans. I bought at a hardware store to transfer the gas! The siphon process is started by shaking or moving the end that goes in the can up and down. No sucking on the hose! The clear plastic tube allows you to see the gas flowing. 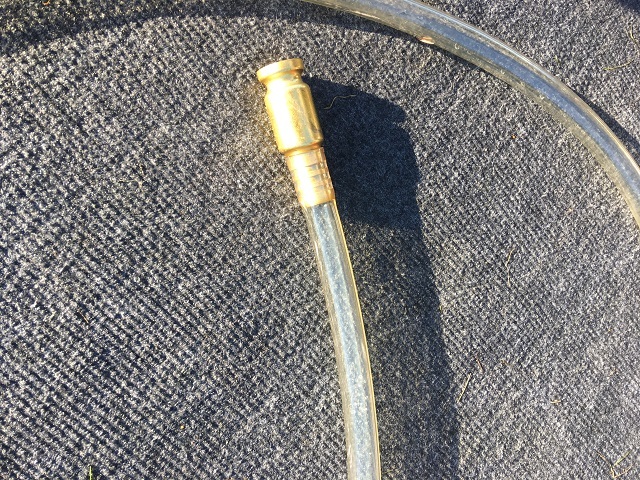 If you tilt the gas can just right and adjust the siphon hose correctly you can get every drop of gas. No spills as long as you hold the siphon end up when you are finished and the other end of the hose is in the gas tank filler neck! I watch all the gas siphon out of the gas can because if the hose comes out of the gas tank filler end the gas will still flow. Gravity does not stop working until the gas can is empty or the suction process is broken. Go buy an under $10 back and spill saver! I found them in the marine area and also in the lawn mower section. You can always ask! Used one season motors and more.